We invite you to visit the newly updated website. Established to preserve and protect the Thai Bangkaew Dog in the United States. The Thai Bangkaew Dog Club of America offers educational programs, health clinics & competitive events for the Thai Bangkaew Dog. 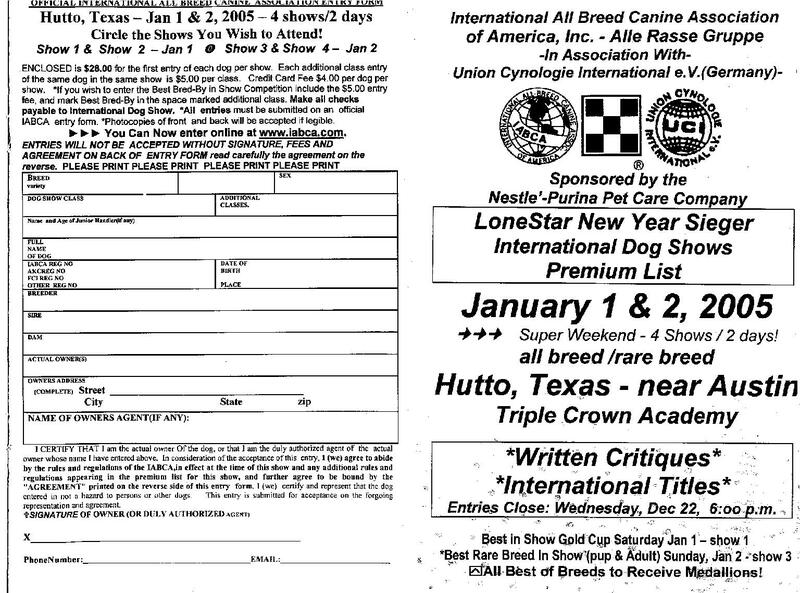 The TBDCA also holds the American stud book & provides the breed registry. This association, formed in 2004, is the parent club of the breed in this country. The club was created by a diverse group of dog owners who share the common interest of raising, training, breeding and competing with the TBD. The Thai Bangkaew is a rare breed throughout the world except in it's native Thailand. TBD are highly intelligent, watchful, loyal companions. If you presently own a Thai Bangkaew Dog, visit our Registration page for information on registering your dog. The official breed standard adopted and utilized by the TBDCA was written based on the Thai Bangkaew Dog Union Club Standard. The TBDCA is governed by a Board of Directors consisting of four officers and three directors. This Board is elected by the club membership every two years and meets at least once a year, at the annual National Specialty. The Annual Membership Meeting is held during the National Specialty and all members in good standing are encouraged to participate, express their opinions and vote on matters brought to the membership. We invite you to apply for membership in the club - please see the club Membership page for requirements & application. Members in good standing receive the password for the online Club Newsletter which includes import information, club events, specialty show information, titles, pictures, articles, training, grooming and health care tips. We subscribe to Thai traditions and endeavor to preserve this breed's type in America as it has been preserved for 100 years in Thailand. Thus we encourage both working and conformation activities. "สมาคมฯเป็นผู้มีสิทธิ ในการควบคุมบันทึกการผสมพันธุ์(Stud Book) และการลงทะเบียนสุนัขพันธุ์นี้ ในสหรัฐอเมริกา สมาคมฯได้ก่อตั้งขึ้นในปี 2004 ถือเป็นสมาคมต้นสังกัดแห่งแรก ที่ควบคุมการดำเนินการเกี่ยวกับสุนัขพันธุนี้ ในสหรัฐอเมริกา อันเกิดจากกลุ่มผู้เลี้ยงหลายกลุ่ม ที่มีรสนิยมตรงกัน ในการเลี้ยงดู, การฝึก , การเพาะพันธุ์ และการประกวด สุนัขสายพันธุ์ไทยบางแก้ว"